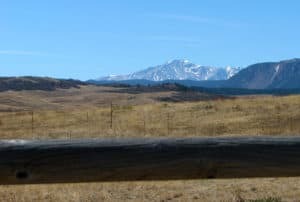 Rolling meadows stretch to spectacular views of Pikes Peak on this easy Colorado hike near Larkspur. 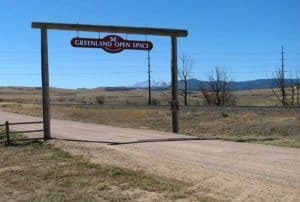 The Greenland Trail takes you across the stunning grasslands near Larkspur, Colorado, a Douglas County Open Space that spreads across 3,600 acres of sun-drenched fields.The Greenland Open Space trailhead can be easily accessed from I-25. Check out the full trail profile below for detailed descriptions, trail map, and driving directions to this great hike along Colorado’s Front Range. Greenland open space has one main trail, the Greenland Trail (appropriately named) that forms a 10 mile loop. However, your not stuck hiking the entire thing, you’ve got options. We’ll briefly profile three different ways you can hike the Greenland trail and customize it for you and your family (scroll past the video panorama for the three options). It’s a perfect place for horseback riding. 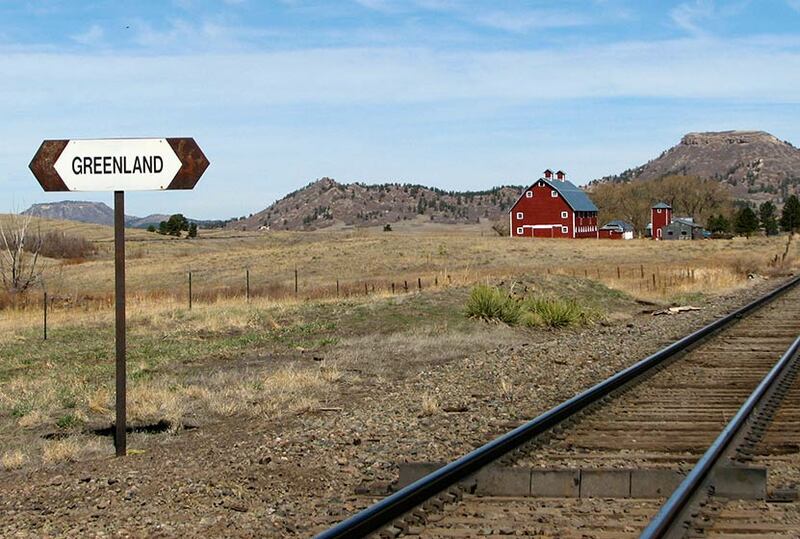 In fact, when I-25 disappears from view, you may think you’ve time-traveled back to the early 1800‘s. You can leave your trailer on the parking area, but keep in mind that Greenland open space can get very crowded on the weekends. So, get there early to make sure you’ve got a place to park. There is also a great 17 acre off-leash dog park just to the east of the trailhead. The open space area requires fido to be on a leash. Click here for more info on the Devon Theune off-leash dog park and for a list of the others in Douglas County. At the first fork in the trail, stay straight (right) on the Greenland Trail. You’ll pass a small pond and work your way through scrub oak and pines as the trail rises. At 3.5 miles you’ll see the option to turn left onto Kipps Loop. Instead of going left onto Kipps Loop, continue straight (South) on the trail. 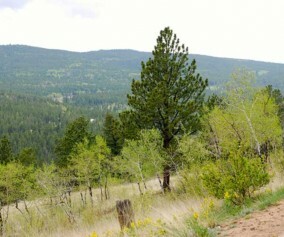 You’ll cross County Line road around 4.6 miles, then you’ll have one mile left until you arrive at the New Santa Fe Trailhead in Palmer Lake, Colorado. Out and back, this is an 11.2 mile trek across Greenland Open Space. The views of Pikes Peak and the neighboring Buttes of Spruce and Eagle Mountain mean a lot of beautiful scenery to soak in. Our first tip on hiking Kipps loop is hike it counter-clockwise. This will give you a nice long and gradual two-mile descent as you are coming back into the trailhead. There’s only about 500’ of elevation gain on this hike, but your knees will be grateful at the end of the trip. Follow the same directions above, but when you get to the Kipps Loop option after 3.5 miles, take a left (East) onto the Kipps Loop of the Greenland Trail (your still officially on the Greenland Trail). 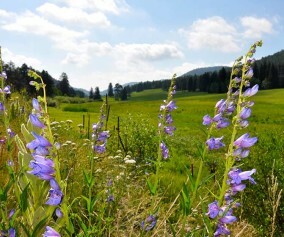 The first 5 miles of the hike are uphill until you reach the high point which is at 7,400 feet. This is a great place to stop and enjoy the view. You’ll pass the gravesite of E. Kipp, and an unusual white rock formation along this eastern side of the loop. As we said before, the rest of your hike will be pretty much downhill from there back to the trailhead. Just because it’s a big loop doesn’t mean that you have to hike the entire thing. 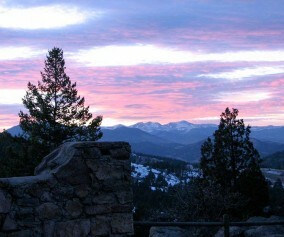 If you are hiking this as a sunset hike, you’ll likely want to keep it short. You can take either the eastern or western sides of the loop and hike until you are ready to turn around. Sunrises and sunsets are quite glorious in Greenland, and this is a great way to enjoy them. TIP: There is no water on this trail so bring more than one bottle just in case. Don’t forget, dogs need plenty of water too! TIP: You are very exposed to lightning. Douglas County has some of the worst stats in the nation when it comes to lightning strikes, so really pay attention to the weather. Dark clouds moving over the edge of the foothills means that you should be headed back to the car. TIP: Bring the Sunscreen – you are also very exposed to the sun – no shade in Greenland. 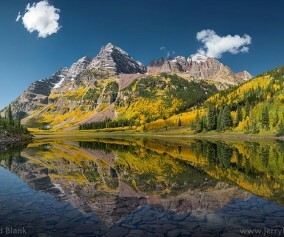 If you are hiking mid-day, then be sure to bring a hat and sunscreen. TIP: If you are snowshoeing or cross-country skiing, or even hiking in winter, be aware that drifts form along the Greenland Trail. 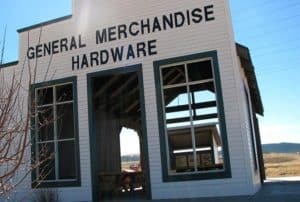 TIP: There is a fantastic picnic area on the other side of the facade of the old Greenland general store. Horseflies were really bad today in the afternoon. Covered with bites!